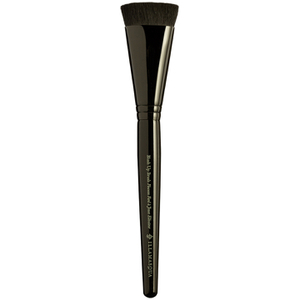 Cheek Brush can be used to apply both cream and powder textures for cheeks that captivate. The soft rounded tip is perfect for application to the apples of the cheeks. I bought this as a backup to my original Illamasqua cheek brush which I’ve had for years and is my all time favourite makeup brush. The cut and density of the brush has changed, and this is a flatter cut and less dense brush to the original, more domed, cheek brush. Worth bearing in mind if, like me, you have a much older brush you wanted to replace or backup. Still nice, I’m sure I’ll find a use for it, but it won’t replace my old cheek brush. Love it! Been using it for more than 8 years! Great for applying blush and buffing in foudation. I own 4 of these. Perfect for foundation, blush, highlighting. contouring...the most versatile brush I own. These brushes are so solid and well constructed. The perfect amount of density that it applies all types of products from liquid to powder. Blends products like a dream and gives you the most airbrushed look. Most of all they are synthetic and they are unbelievably soft. Functional soft. I would buy 4 more if I could. There is not a single Illamasqua brush I own that I don't love. Actually the most amazing brush ever. Put DOWN your flat foundation brushes, ladies! The days of painting your face with a big flat brush are OVER. 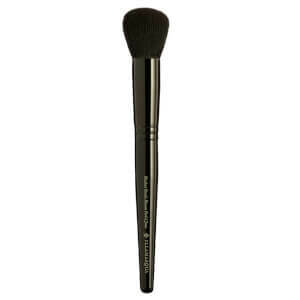 This brush is perfect for stippling foundation around my face and blending it in smoothly. Where flat foundation brushes are a struggle to achieve a nice smooth finish, this brush easily blends everything together nicely. I have been using this brush for over two years now, and I will never, ever go back. Ever. This brush is Absolutely amazing to buff in foundation. It makes it look so flawless! Definitely worth the money!